Aged just two and three years old, Evie and Elliot have experienced a lifetime of abuse and neglect. Scrawny, filthy and wide-eyed with fear when they turn up on foster carer Maggie Hartley's doorstep, these young siblings have hardly set foot outside their own home. 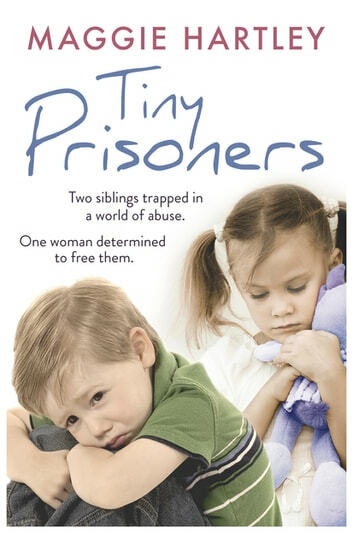 They have been prisoners, locked in a terrifying world of abuse and violence. Maggie soon realises that Evie and Elliot are lacking the basic life skills we all take for granted. The outside world terrifies them; the sound of the doorbell sends them into a panic that takes hours to abate. Gradually unlocking the truth of their heart-breaking upbringing, Maggie tells their shocking true story. From emotionally scarred and damaged little children, we see how - with warmth and dedication - Maggie transforms their lives. As this moving story unfolds, we share Maggie's joy when these children finally smile again, when they realise they do have a future after all. This book was better than expected and a bit of a tear jerker. But i loved it. Another heart-warming story from Maggie Hartley, it is always so inspiring to read her real life stories. It only saddens me, that some people are treating their own children so badly.